We understand that the cup is the ultimate test for the quality of our coffee. As such, we continuously evaluate our practices at all stages, from the nursing of the young cafetos to the delivery of our beans to our customers. In order to ensure the cup attributes of our coffee, we have implemented an improvement programme, based on expert feedback from cupping tests. This involved the re-engineering of some of our processes and the introduction of new equipment, training, and practices. 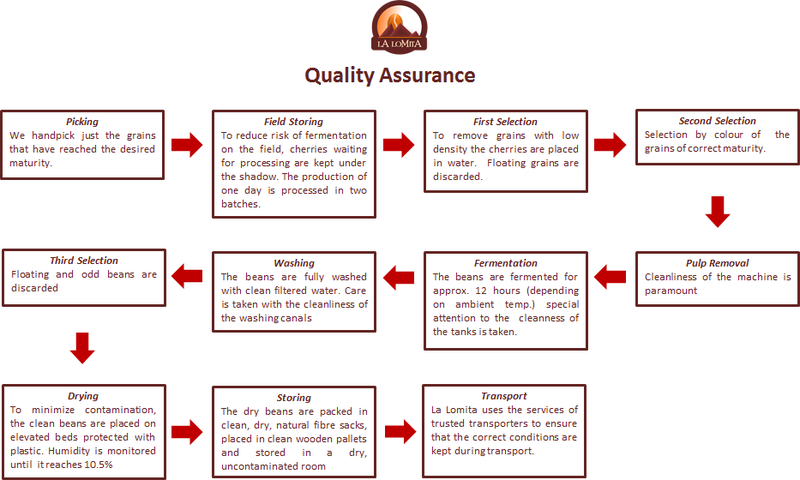 Our quality assurance controls are shown below.